HeLa whole cell lysate A 45 kDa band can be detected innon-apoptotic cells. Our Abpromise guarantee covers the use of ab8409 in the following tested applications. WB 1/1000 - 1/2000. Detects a band of approximately 45 kDa.Can be blocked with Human ICAD peptide (ab8441). Inhibitor of the caspase-activated DNase (DFF40). Caspase-3 cleaves DFF45 at 2 sites to generate an active factor. 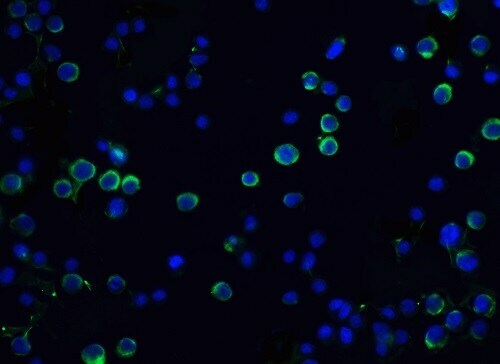 Immunofluorescence of ICAD in Hela cells with ab8409 at 20 μg/mL. Publishing research using ab8409? Please let us know so that we can cite the reference in this datasheet. There are currently no Customer reviews or Questions for ab8409.